Since 1983, Copy Tech has been providing clients with world-class printing services. Locally-owned and operated, our dedicated team of business printing specialists work with each client on an individual basis to ensure a top-quality result at a fair price. Together, we have over 100 years of experience in the printing industry. Copy Tech's mission is to offer clients the highest level of printing services. We accomplish this by employing skilled people who are passionate about providing stellar customer service. Our guiding principles are to provide superior printing services with the latest technology, support our clients with superior service and grow the business by maintaining happy customers. 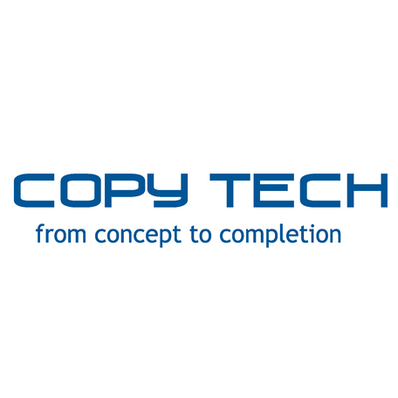 At Copy Tech, we believe that excellence is not an option but a habit. Our Owner and Manager are on-site each day, and we attribute our success and growth to customer referrals. We measure our success according to the impact we have in driving your business forward!